So what exactly is activated charcoal, the ancient healing substance that has become all the rage in the beauty and skin care business? Simply put, it’s burnt wood that has been magically transformed into a powerful poison filter that can reduce the absorption of drugs, chemicals, and other toxins, by up to 60%. To make activated charcoal, wood is burnt in the absence of oxygen at extremely high temperatures, up to 1600 degrees Fahrenheit, to create a black substance called char. The net result is a type of material sometimes referred to as vegetable carbon, that is tremendously porous, with a remarkable surface area; two teaspoons full of activated charcoal has the surface area of an entire football field. This amplification of porosity and surface area gives activated charcoal its amazing ability to ‘absorb’ toxins. Adsorption (with an “AD”) is a phenomenon whereby chemicals stick to a surface via chemical attraction. This distinguishes it from absorption (with an “AB”), which can be defined as the complete assimilation of one material into another, as water is into a sponge. 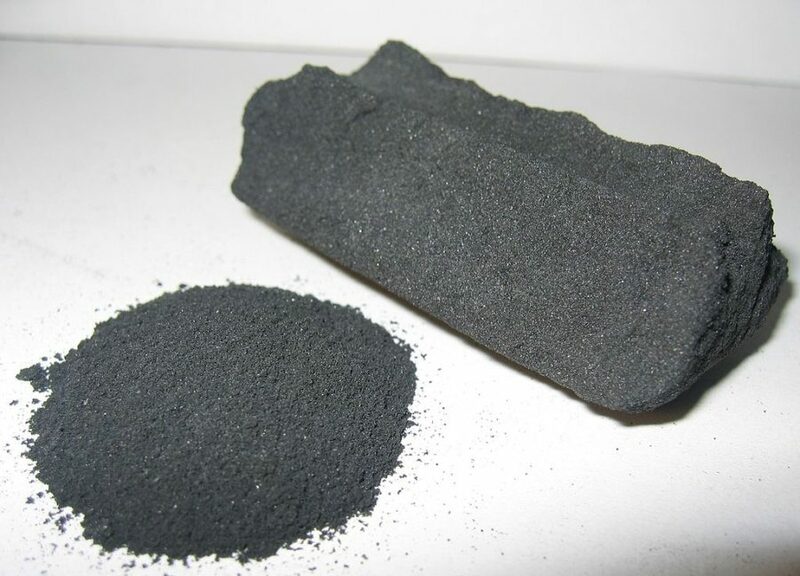 Because of the tremendous increase in the surface area created by the activation process, activated charcoal can adsorb many times its weight in toxins. This makes the fine black powder incredibly valuable as an antidote for poisons, which readily adhere to the large surface area of the pores like paper clips to a magnet. That’s why activated charcoal is considered a must-have in pharmacies, first aid kits and medicine cabinets around the world. And, it’s considered first-line treatment for accidental poisoning in most emergency rooms. Perhaps the most famous example of activated charcoal’s astounding anti-poison properties was the case of Professor Touery, who in 1831 drank 15 grams of strychnine (that is ten times the lethal dose) in front of his medical associates without issue simply because he mixed the deadly substance with activated charcoal. According to a 2001 study published in the journal “Pediatrics”, activated charcoal can be an effective home treatment for accidental poisonings. In the study, researchers from the Kentucky Regional Poison Center found that poisoned patients who used activated charcoal at home before they got to an emergency room had significantly improved outcomes. The researchers concluded that intestinal detoxification “… at home using activated charcoal, in appropriate circumstances, may reduce the number of cases that require treatment in a health care facility”. Personally, I keep a bottle of activated charcoal capsules in my medicine cabinet at home, and I had a ten-pound jar of it at my pharmacy for years. I’ve used it for food poisoning, to reduce unpleasant digestive symptoms like gas and bloating and for dealing with the stomach flu. It has also been recommended for accelerating recovery from a hangover after a night of too much celebration, although the recent literature suggests it may not be effective. Externally, you can make a paste with it – blend it with olive oil and perhaps a bit of bentonite and apply it to the affected area – and it can draw out infection or even spider venom. Activated charcoal, as many cosmetic companies are discovering, can also be used cosmetically to great effect. A quick Google search for “activated charcoal in beauty products” reveals at least 26 different topical products that feature the fine black powder. It’s also found in shampoos, bath salts, deodorant and anti-fungal creams for athlete’s foot. You can buy activated charcoal in most drug stores or online. It comes in capsule and tablet forms. You can also buy the straight powder, which is much more cost-effective, at around 20 -25 dollars a pound (100 capsules = around ¼ pound) although a little less convenient to use. A typical anti-poison dose is around 12 tablespoons of the power (15-30 capsules) dissolved into or taken with 3 or 4 glasses of water. -Activated charcoal also makes a great tooth whitener. Simply sprinkle some on a wet toothbrush and scrub teeth for 2 to 3 minute. Make sure you rinse well, otherwise your tooth whitener will leave your teeth pretty black! -You can add a teaspoonful of activated charcoal to some bentonite clay, mix in a cup or so of apple cider vinegar or aloe vera gel and water to make a paste and apply to blemishes as a spot treatment or to the entire face as an anti-acne mask. -You can make a great detox cleanser by melting some coconut oil, add some activated charcoal and baking powder. Stir powders in gently as the coconut oil cools and use as a skin softener and purifier. Use a drop or two of lavender or tea tree oil to boost the anti-bacterial properties and add some aromatherapy benefits to your homemade coconut charcoal scrub.